On Monday, the 29th October, a bomb was thrown in German politics. 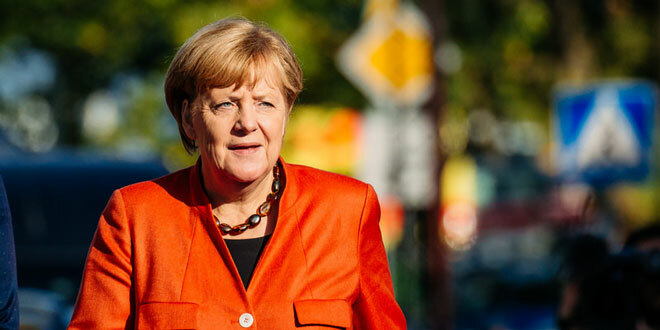 Chancellor Angela Merkel announced that she is stepping down as chairman for her party, CDU. So far, the financial markets have not reacted, as the news does not yet lead to any change in German policies. Officially, Chancellor Merkel shall continue in her position as chancellor for another three years. But this outlook can be quite different after the CDU party’s annual convention in Hamburg on the 7th and 8th December, where the new chairman of the CDU is elected. For the financial markets, this election can be more important than one believes, and potentially, even more important than when Macron was elected as the new president of France. Chancellor Merkel’s favourite candidate for the presidency is undoubtedly the party’s current Secretary-General, Annegret Kramp-Karrenbauer, who in my optics, is a clone of Merkel. If Kramp-Karrenbauer is chosen, the current reform weak policy trail will continue and the position within, and relation to the EU, will continue as usual. But one of the former leading figures in CDU, Friedrich Merz, has joined the race, and now goes for becoming the chairman of the party. The first online polls of decent credibility ranks Merz as by far, the most popular candidate. The third candidate that is in the ballot to becoming the new party leader is Jens Spahn, who has a profile that is similar to Merz’ focus on economics, business, and traditional conservative issues. Currently, Spahn is health minister in the ruling government, and he has a decent support within the party, though he is clearly the outsider in the race. A lot can happen within a month when it’s about winning the power in a party, but it seems to be a contest between Ms. Kramp-Karrenbauer and Mr. Merz. Should the ballot be in favour of Kramp-Karrenbauer, then it’s even possible that Chancellor Merkel can continue in her position for a while, as officially announced – this outcome will at the same time be a non-event for the financial markets. Concerning EU, the German government won’t change its position significantly over the next 18 to 24 months. From an investor and financial markets perspective, the key is to keep an eye on Merz and his popularity. 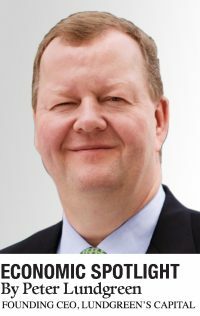 Should he be elected as CDU’s new chairman, then this most likely represents a very big change in German politics, and I therefore argue that it would be more important than when Macron was elected as president in France. Chancellor Merkel has outmanoeuvred many leading persons within the CDU party under her leadership. One of them is Merz, who is now trying to take over one of Merkel’s top positions. Though nobody in Berlin believes that Merkel can continue as chancellor with Merz as party leader due to the history surrounding Merkel and Merz. The general view is, and it’s also my own main scenario, that Merz will soon take the position as chancellor. The good question is what happens to the current government consisting of the conservative CDU / CSU cooperation and the social democrats? A new election is possible, resulting to a new government consisting of CDU / CSU, though together with the Green party and the liberal FDP. This coalition is also possible in the current parliament, and this solution is my main scenario if Merz gets in the driver’s seat. At the same time, Merz will reform the political direction within the CDU party, but also for a new government. There will be more focus on economic reform policy in Germany, but also reforms within the EU. I could imagine that Germany will chase the post as president of the European Central Bank again instead of going for the position as chairman of the EU-Commission. This will undoubtedly mean that monetary policy is tightened more quickly than currently priced in the bond markets, and the southern European Eurozone members will find their fiscal life more difficult in the future – it will be very exciting to follow the CDU party election, including polls, during the coming month.